The closest seaside resort to Paris is easy to get to...even if you're in England. As with all French towns, Dieppe is connected to the rest of the country by a fine network of roads, highways and rail lines; and with England by daily ferryboats to Newhaven, East Sussex. 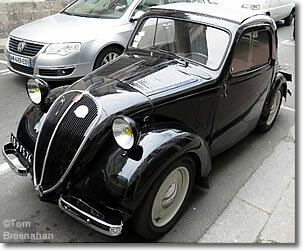 The 192-km (119-mile) drive between Dieppe and Paris along the A13 and A151 highways (map) takes about 2.5 hours. At least a half-dozen trains daily connect Dieppe with Paris (Gare St-Lazare) by way of Rouen: you take a TER regional train from Dieppe to Rouen, then an Intercité train from Rouen to Paris. The journey takes about 2.5 hours. 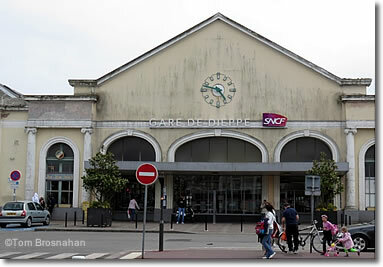 The Gare de Dieppe SNCF is on boulevard Georges Clemenceau just southwest of the harbor in the town center. The nearest major airport to Dieppe is Paris's Beauvais-Tillé Airport, 109 km (68 miles, 1.75 hours) southeast. There are smaller airports at Le Havre-Octeville, Deaville-Saint-Gatien, and Caen-Carpiquet.